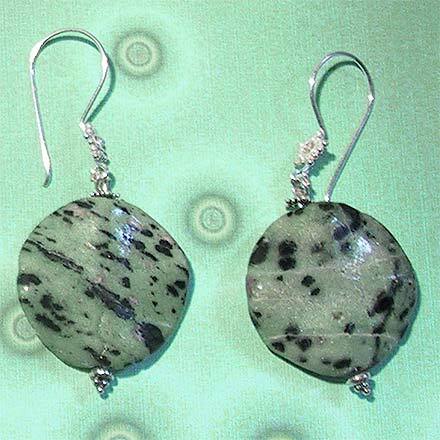 Sterling Silver Ruby in Zoisite Earrings. 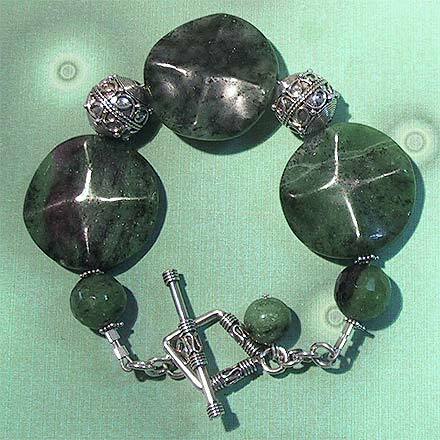 Large spotted green Ruby Zoisite beads, often resembling spots on animals. The bracelet is 7¼.